Charlotte is one of a kind. 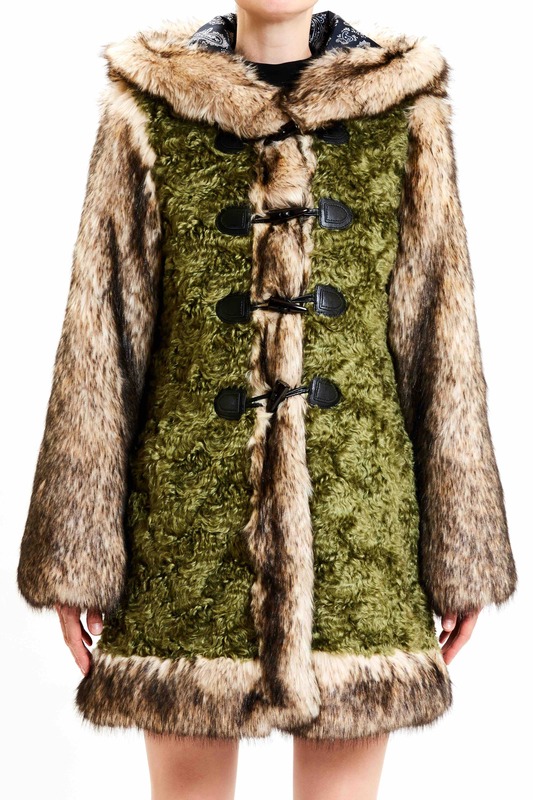 It is a Green Persian Làmbe and coyótte parka with novelty marine Paisley lining. The combination of the greens and browns make for the perfect coat to wear for the season, reflecting the autumnal colours of our surroundings.